The Centers for Disease Control and Prevention has classified prescription drug abuse as an epidemic. Some individuals who misuse prescription drugs, particularly teens, believe these substances are safer than other drugs because they are prescribed by a healthcare professional and dispensed by a pharmacist. Addressing the prescription drug abuse epidemic is not only a top priority for The Stoughton Wellness Coalition, it will also help build a safer, healthier Stoughton community. Properly dispose of all medication by using the Stoughton Drug Drop Box. No matter who you are you can help address this issue in your home. Talk to your kids. It’s important that our children learn about the use and abuse of prescription drugs. For tips on talking to teenagers, Talk to Your Kids About Prescription Drug Abuse – Not Worth the Risk is a helpful resource. Prescription drug abuse is a growing public health concern. With the increasing number of pain killers and other medically necessary products on the market, the likelihood of a person, particularly the youth, to accidentally overdose or abuse products has been rising. The Stoghton Wellness Coalition, along with community partners, is creating awareness in the community about the risks of addiction and fatalities, due to the abuse of prescription drugs. We are striving to change the perception that experimenting with prescription drugs for recreational purposes is safer than the use of illicit drugs. Our focus is to reach out to people in the community, utilize prevention education through science based facts and support our partners in law enforcement’s efforts to reduce prescription drug misuse. What is driving this epidemic of Prescription Drug misuse? Misconceptions about their safety. Because these medications are prescribed by doctors, many assume that they are safe to take under any circumstances. This is not the case: prescription drugs act directly or indirectly on the same brain systems affected by illicit drugs; thus their abuse carries substantial addiction liability and can lead to a variety of other adverse health effects. Increasing environmental availability. Between 1991 and 2009, prescriptions for opioid analgesics increased from about 45 million to approximately 180 million. Illegal diversion of pharmaceuticals has risen because of availability and high street value profit margin. A recent survey indicates over 64 percent of youth got them from friends and relatives. More information on how to end medicine abuse. It is important to do your part to keep prescription drug medications out of your homes; out of our water; out of the reach of children! 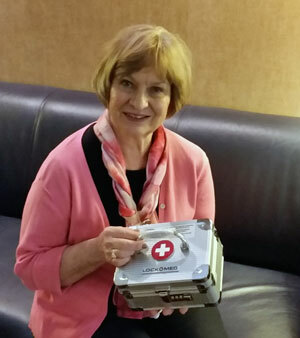 – Use a lock box provided to you, free of charge, through the Lock Box Initiative! – Properly dispose of your unused, unwanted or expired medication! 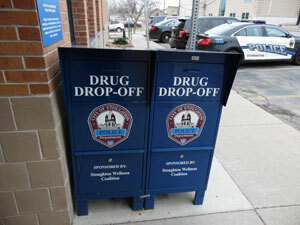 The Stoughton Police Department has a Drug Drop Box located at 321 S 4th St. It is free, safe, anonymous and available 24/7!